We are Music City Swing. 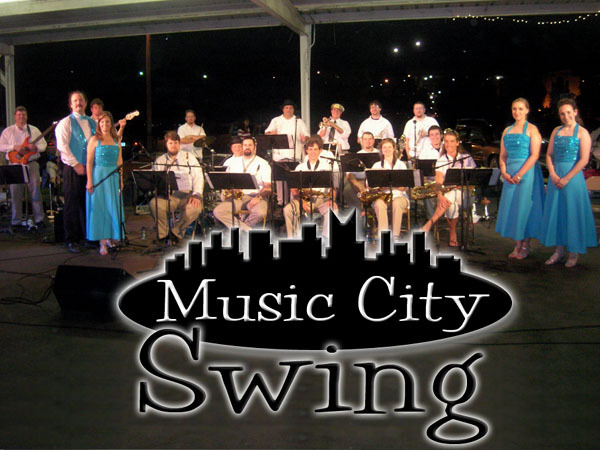 Music City Swing (formerly known as the Capitol Swing Big Band) is Nashville’s finest example of what a big band can be, proving that music from any era can swing. This 21-piece band plays music from the 40s through today in its own hard-swinging, big-sounding way. For more information about the band, send us an email along with questions or comments about this web site.